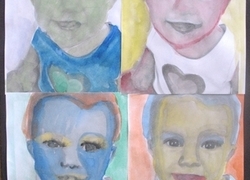 Many great painting and drawing crafts can be found here. 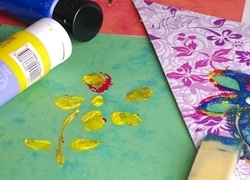 These fun crafts will bring out creativity around painting and drawing. 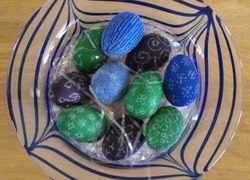 Spice up your Easter routine this year by making these stunningly sparkly eggs with your third grader. This is a great activity to do to celebrate the holiday. 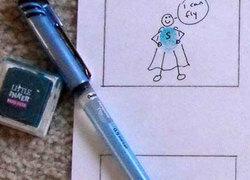 Challenge your kindergartener to a whole new method of storytelling, and improve his fine motor skills in the process. 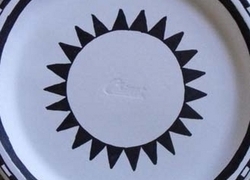 Inspire young anthropologists with this year 6 art project: make patterned pottery in the Anasazi style! All you need are a paper plate and markers to start. 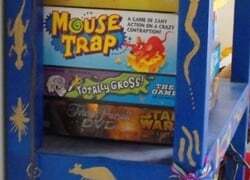 Teach your 2nd grader the value of recycling with this fun arts and crafts activity: make a DIY painted bookcase or set of shelves! 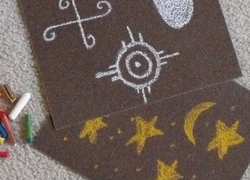 In this unique year 6 arts and crafts project, your budding artist can imitate ancient rock art by creating his own petroglyphs on sandpaper with crayons. 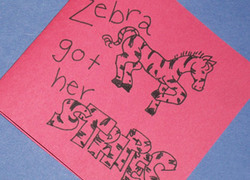 Invite your first grader to follow a African tradition by coming up with an explanatory African folktale and assembling a book to go along with it. 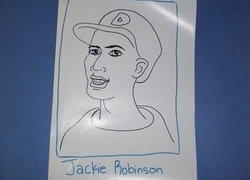 Promote your child's appreciation for Jackie Robinson, an important figure in African-American history, by having her create her own baseball card! 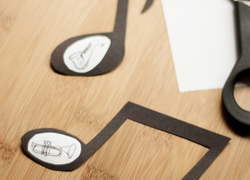 Help your fifth grader honor Black History month and the musical genre of jazz by crafting decorative music notes embellished with jazz musical instruments. 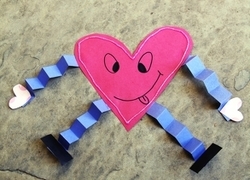 This Valentine's Day, spend a couple of hours with your child constructing a colorful, spring-limbed "heart man"! 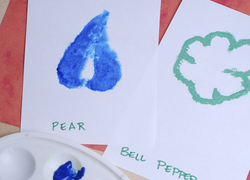 Introduce your kindergartener to some art history by showing him how to create an everyday object print, Andy Warhol-style. 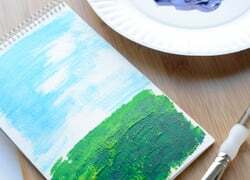 With a few strokes of white paint, kids can transform an old family photograph into a lovely winter scene in this year one arts and crafts activity. 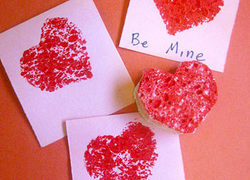 In this activity, kids use sponges to make textured stamps for homemade, artistic Valentine's Day cards. 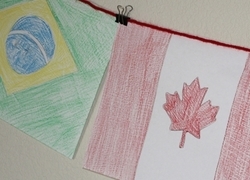 Spark your child's interest in the Winter Olympics by creating a banner of world flags, and then following each country's activity in the Olympic Games! 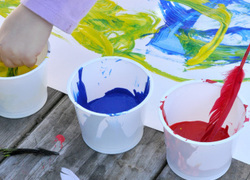 Celebrate St. Patrick's Day by painting the green Irish countryside in this year 3 arts and crafts activity. 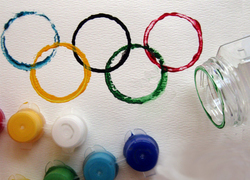 Prepare for the Olympics by creating a colorful print with your child inspired by the Games' iconic symbol, the Olympic rings. 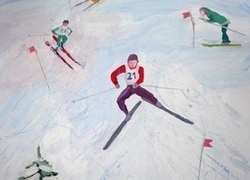 If your first grader aspires to be an Olympic superstar, this portraiture project is for him! 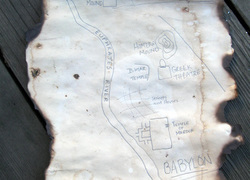 Turn your child's learning about ancient civilizations into a swashbuckling adventure by having her make an ancient treasure map! Your kindergartener will make prints of his favorite fruits and vegetables and learn how to organise and assemble his very own book. Great for bath time, or anytime your child is feeling creative, these bright bathtub paints are a fun and low-mess way to spice up art time. 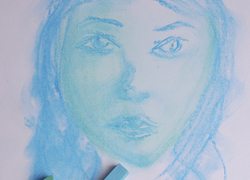 Encourage your child to explore colour and its mood-altering effects by creating his own self portrait using only warm or cool colors. 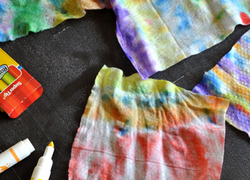 Give your preschooler the opportunity to work on colour recognition and fine motor skills while creating a beautiful tie-dyed piece of art! 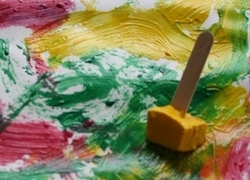 In this fun activity, frozen cubes of paint provide your preschooler with a cool new way to paint a masterpiece. 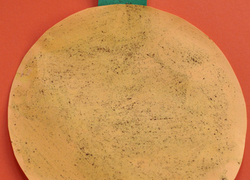 Your preschooler will engage his senses by making a scented pumpkin to decorate your house. 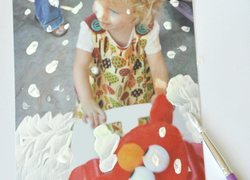 Encourage your child's creativity by giving him a new kind of paintbrush -- a feather!